The cuisine of Croatia is quite out-of-the-mainstream when compared to many other food cultures of the world. With unique ingredients being used, especially the meat varieties (like rabbit or octopus, to name a few), the cuisine has a style of its own. The tasty traditional breakfasts, main-course meals, desserts, sweets, appetizers, confectionaries, barbecues – all are attractive and interesting to try and really die for! 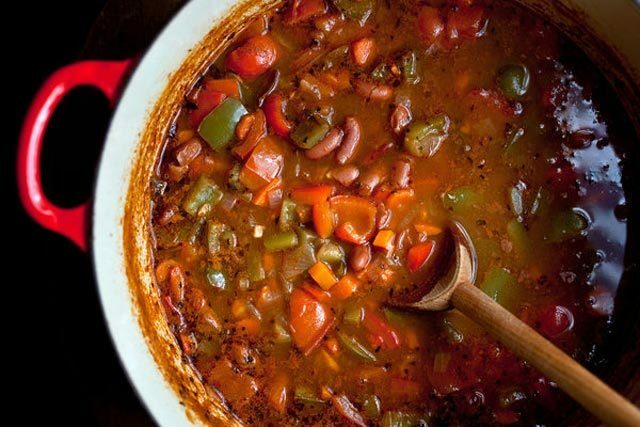 Here is an exhaustive list of a few such famous dishes from the country. 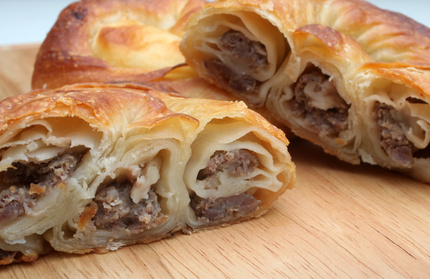 What is it: Burek is basically meat stuffing wrapped in a dough envelope, and then baked (sometimes fried). A popular breakfast dish, it is also a common local street food, and is served hot, sprinkled with sesame seeds. Sometimes, a modern vegan or vegetarian version is also available by replacing the meat with vegetables. What does it taste like: The typical taste of minced meat (chicken, lamb, beef, pork, etc. ), cooked in bell papers and onions, and wrapped along with cheese and other ingredients give it a simple yet mouth-watering flavor. 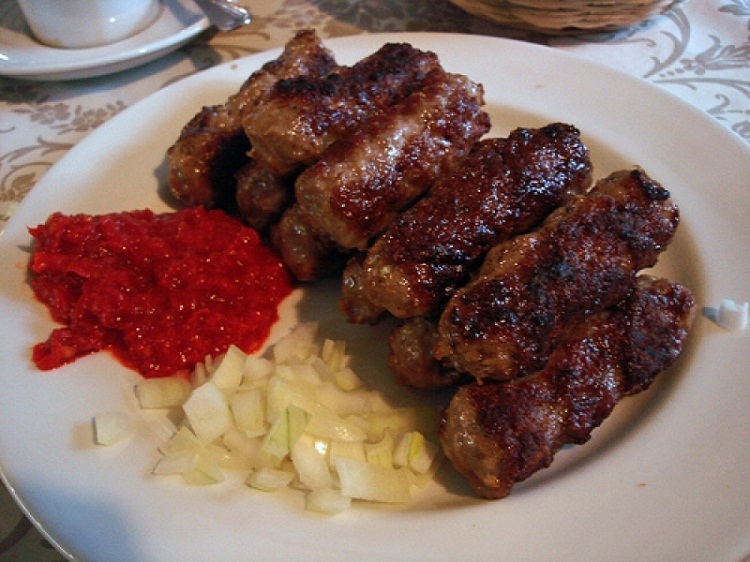 What is it: Interestingly, the meat stuff used in this dish is often mixed meat (a combination of pork, beef and lamb). It is also called Ćevapi, which has derived from the Persian word ‘kebab’. What does it taste like: It is usually served with kajmak, ajvar, feta cheese, chopped onions, sour cream, salt and minced red pepper, while the hot aroma of all these ingredients is bound to bring water to your mouth right from the time of preparation. What is it: This veggie dish is one of the delicacies from the Croatian cuisine, and is often served in a number of variations (like with different vegetables). This gluten-free dish is a good choice for health-conscious foodies. 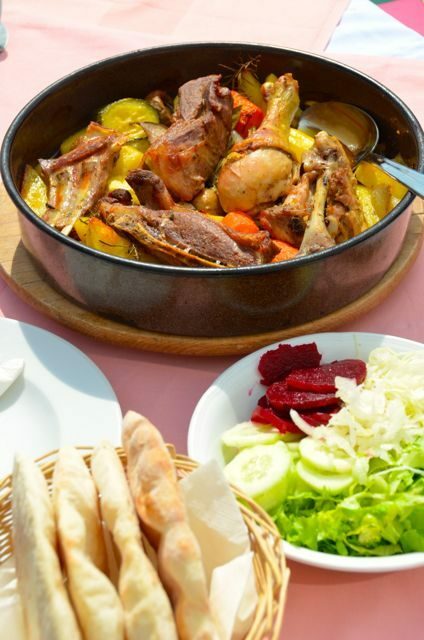 What does it taste like: The gravy is thick and contains the aroma of various ethnic Croatian spices. 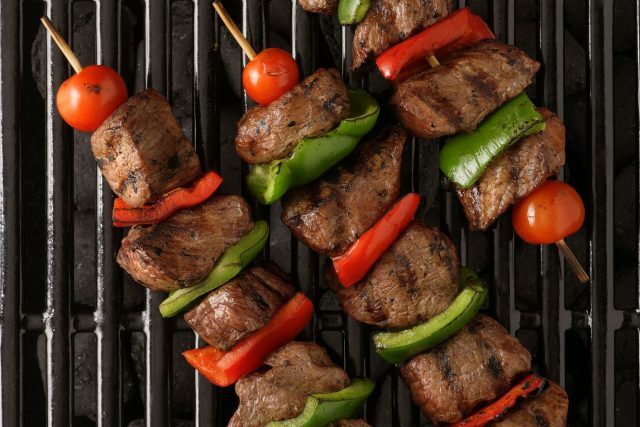 What is it: Also called Miješano Meso, this is a grilled meat skewer, probably a Croatian equivalent to the Turkish Shaslik kebab (with the very word ‘ražanj’ meaning ‘skewer’ in the Croatian language). This dish is also famous in parties and gatherings like in weddings. What does it taste like: The spicy meat chunks hold a strong smoky aroma with a combination of different kinds of spices. 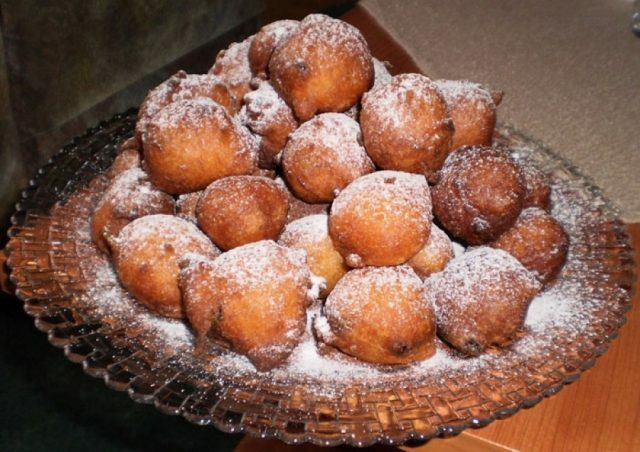 What is it: This is a Croatian holiday pastry that looks quite similar to doughnuts, and is traditionally made for Xmas (but also for Easter at times). Fritules can be consumed either as snacks or as desserts. What does it taste like: These are normally flavored with citrus zest and rum, and also contains raisins. The powdered sugar topping makes this sweet dish even more special. 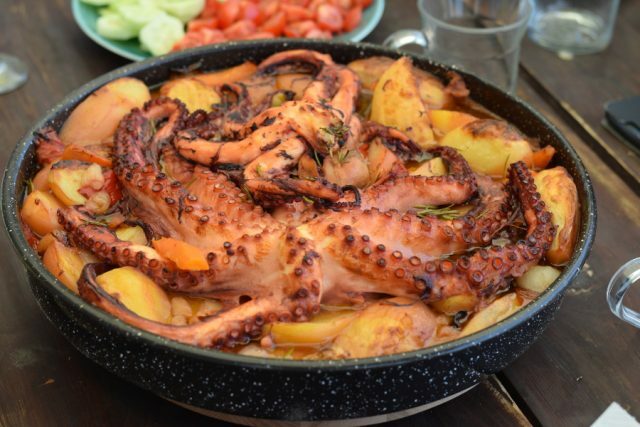 What is it: This is also a delicacy from Croatia, and is slow-cooked spicy stew made of dressed medium-sized octopuses. What does it taste like: The octopus meat, simmered in its own juices and different other seasonings and spices, will make a big difference in your mouth. 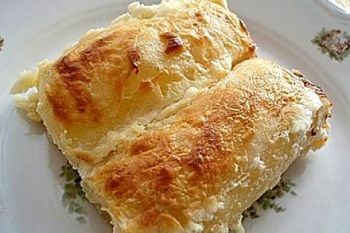 What is it: This is a very famous Croatian baked pastry dish served across the country, and is a common name in households. What does it taste like: The cake-like aroma of the baked dough mixed with eggs, and comprising of different kinds of stuffing that can either be baked or cooked beforehand. The typical stuffing is the real magic of this dish. That’s our list for you! Now that you got acquainted with them all, you would have a good reason to chalk out a holiday tour and fly with your friends. There are, of course, plenty more to try and experience in the country and its cuisine.